16.1 3 yr old Mare. Hunter-Type! Sound! Never Raced. Not your typical "chestnut-mare"! VIDEO on our FB Page Wall. Big sweeping stride, friendly, well put together. 16.1 but still growing. Congaree/Arazil/Blushing Groom out of a Forty Niner dam. Does have a screw in ankle but has NO LIMITATIONS for a new career outside of racing! No tattoo or published workouts at track, but did start race training. From vet "Non displaced condylar fractured incurred as early 3 yo and repaired surgically immediately without complication and will never be a problem. Radiographs without any arthritis and has never been unsound. Absolutely no limitations for athletic career due to this past injury. It is the most common race training injury and also has the most successful return to full racing or any other athletic capabilities." 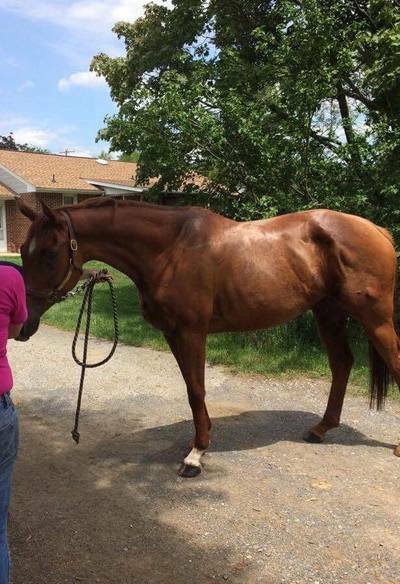 Located in Harrisburg, PA at PA Racehorse Rehoming's farm. Must fill out online application to be considered for adoption. Trainers - You are able to resell most PARR horses. While we aim for long term forever type homes, sometimes some really excellent trainers with experience retraining OTTBs look past us assuming they could never sell the horse. We are picky, but do approve adoptions to qualified trainers with the same end goal as us: excellent loving homes in a new career. We just require to be notified when the horse is going up for sale, and must get all new owners contact information to continue keeping tabs on where the PARR horses are in their new lives and careers. We strive for keeping in touch and receiving updates on our PARR Alumni! A non-auction/neglect/slaughter contract is always required. 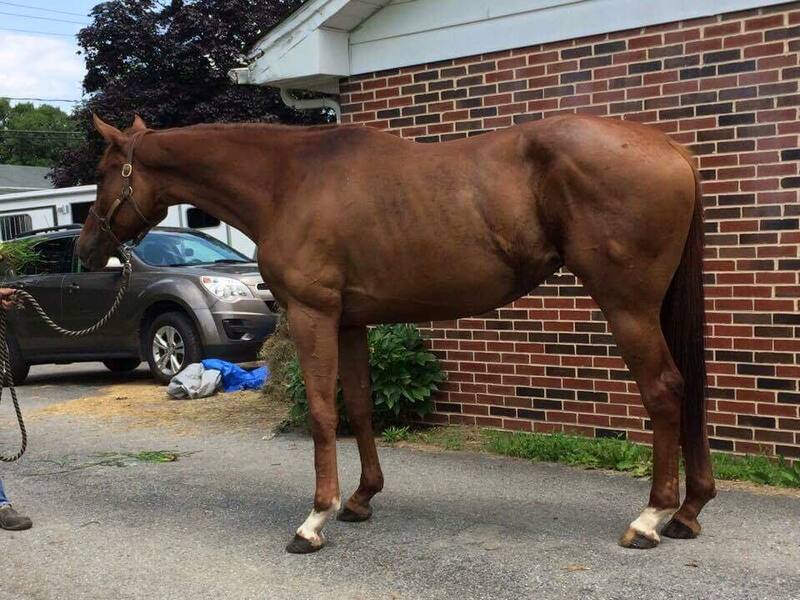 Adoption fees help run our 501(c)3 Non-Profit Organization for Racehorse Rehoming & Rescue.